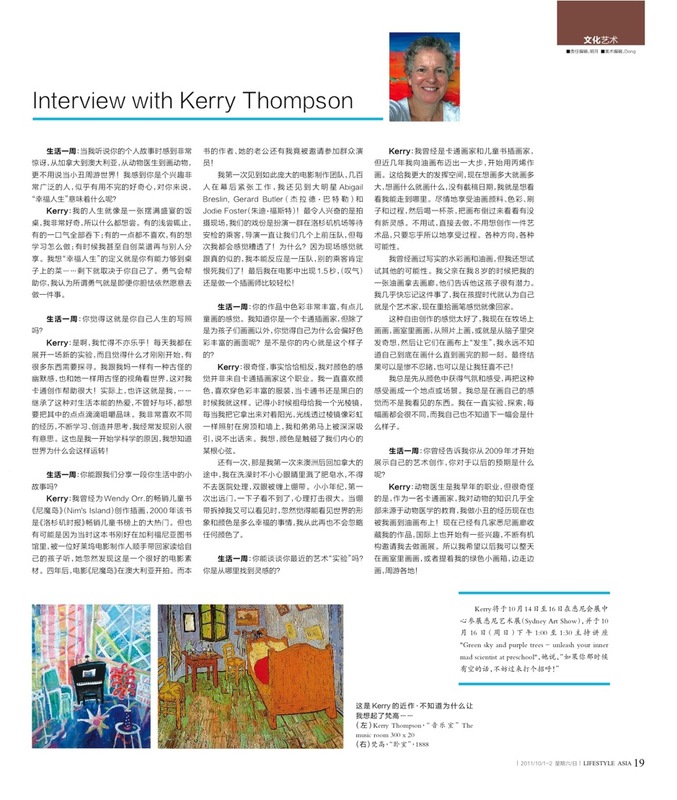 " ...Kerry’s paintings give a warming and exciting splash of colour to the walls of the library. Her thick brushstrokes seem to invoke the paintings of a child, where imagination is spilt onto canvas in a way that allows a certain innocence to meet the depth of a lifetime of experience as an artist. 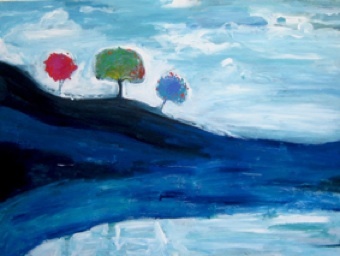 Many of her works feature Australian landscapes that don’t quite look like Australian landscapes. Through her work, she is able to take rural Australia to a place far, far away, so that each painting is reminiscent of a different place within Kerry’s imagination yet still reminiscent of home. 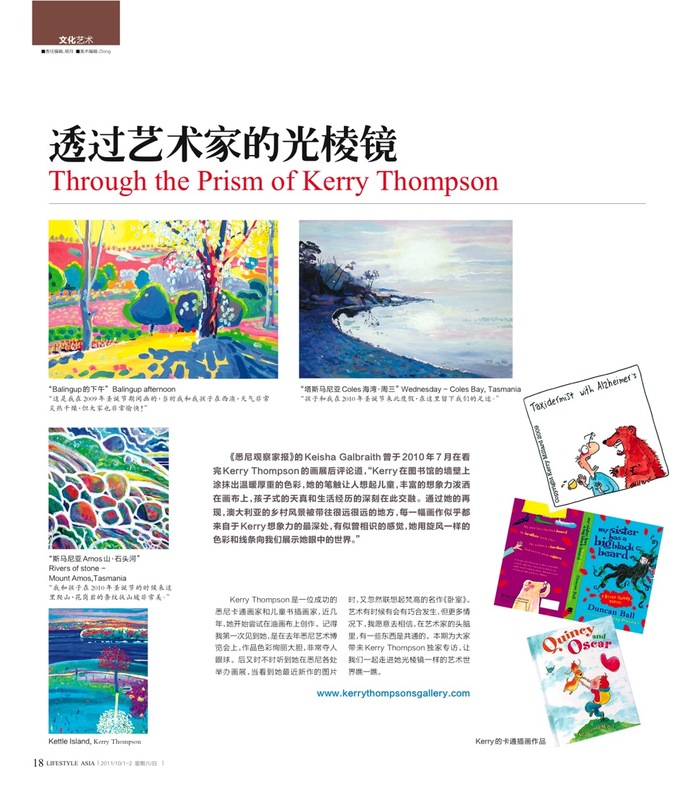 There’s a wonderful familiarity about Kerry’s work, using a whirlwind of colour and line to show us how she sees the world."